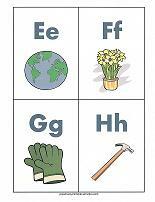 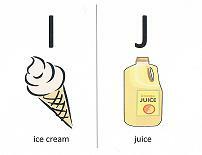 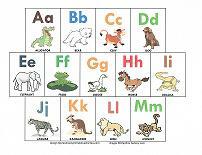 Childrens alphabet cards are low-cost, educational, portable and can be used in a multitude of ways. 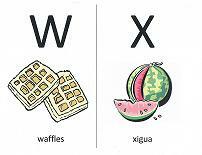 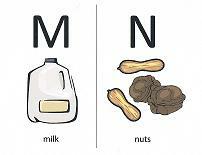 Once several letters have been learned, lay the cards face up and say either the letter or sound. 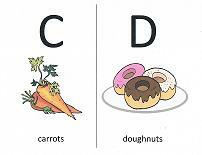 Let the child choose the correct card. 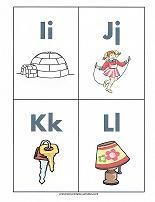 Lay larger cards on the floor and have the children stand on the letter you call out. 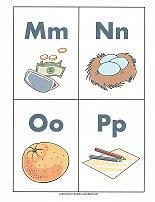 Use the flashcards as wall décor for a constant visual aid. 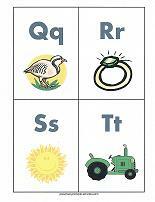 Mix up all the cards and help the child to line them up in order. 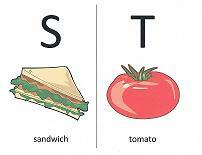 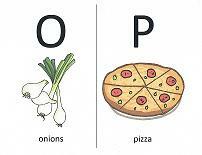 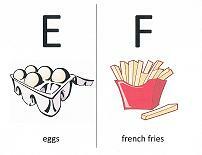 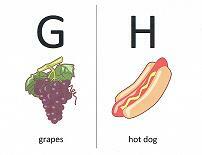 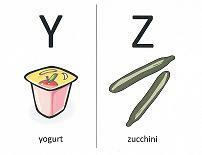 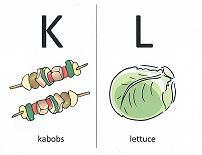 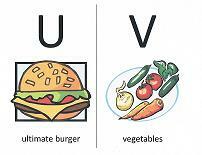 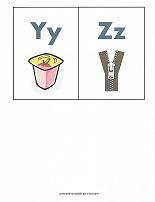 Here's a set of A to Z food cards that are large enough to use as wall or floor cards. 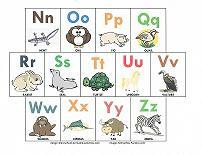 This smaller alphabet set of animals is great for table top use. 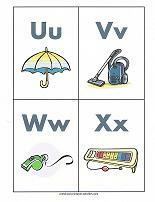 Laminate the entire page for use in reviews. 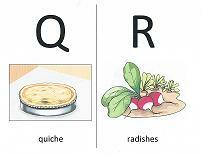 OR... cut into individual cards. 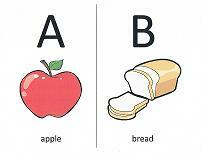 Once the alphabet has been learned well, have the kids try to put the cards in order. 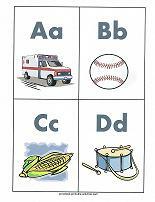 Alphabet Flip Book - A low-cost mini photo album and free printables are all you need to create this fun way to learn the alphabet.